You aren't aiming to TRY at Cara, you're aiming for success. So "TRY?! 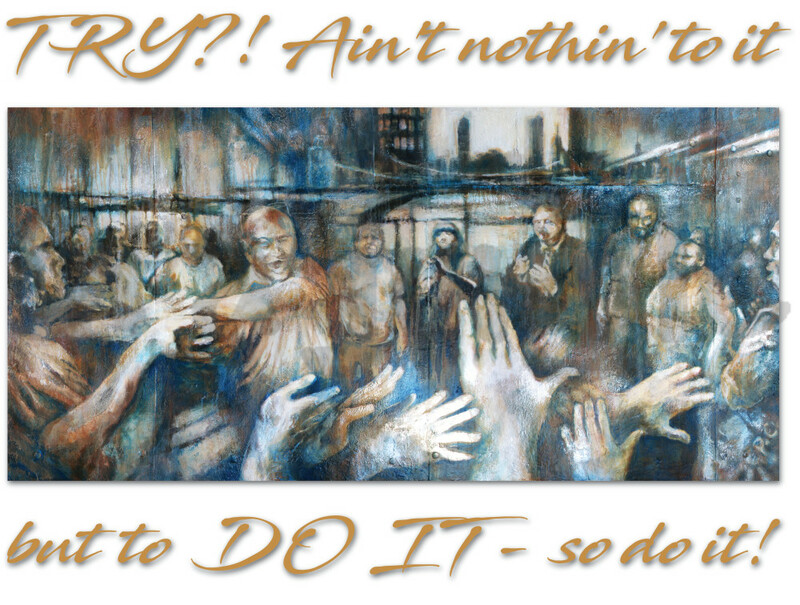 Ain't nothin' to it but to do it - so do it!" is the response you'll get if you start talking about "trying" to do something. You're in-process, you're working on it, you're on schedule to do it. Live by it! 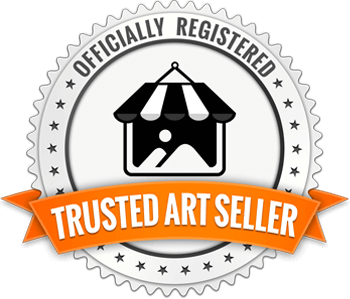 10% OF ALL PRINT SALES OF THIS PIECE DONATED TO CARA. Always. This print is from "Motivation at Work" which I painted for Cara, a community that builds success in employment. 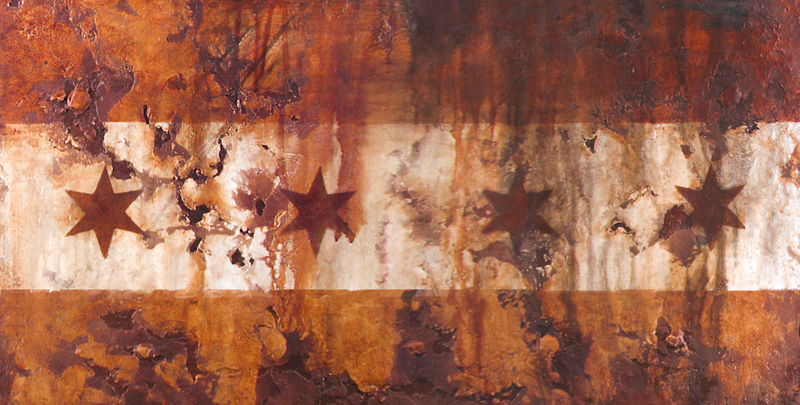 Rich textures and rust stains work together in a swirl of hands and excitement within the gritty setting of Chicago. You can feel the energy of success being built up in the circle, the room, the city. Cara participants reach and connect to a future of gainful employment with dignity and pride.